Proteas got an easy victory in the 4th Test as well as South Africa won Test series against Australia through the victory. Australia is so disappointing and under the new captain they failed to play as their regular style. Besides, the team mentality was not good after the ball tampering incident. Their regular skipper along with vice captain and the bowler all three players were removed from the squad and some new players were added there. Tim Paine started the new match which was the 4th Test against Proteas at South Africa. But his leading did not work and he failed to change their disappointing mentality. So, the Test series as good as end. In 3rd Test, Bancroft, Warner and Smith were accused by the ball tampering incident and it was proved later. So, they were ruled out from the team squad. Earlier, Australia started their tour in South Africa at the end of February, 2018 but officially their tour started in 1st March, 2018. Already 3rd matches between Proteas and Aussie have finished where Proteas took the lead by 2 – 1 games. So, 4th match was a chance for Australia to bring balance but they failed to make a victory. In 30th March, 2018 the forth match between the local team and guest team started and this time it was staged at Johannesburg. For the 2nd time South Africa won the toss and decided to bat first. They played complete first day and half in the second day. In 136.5 overs Proteas lost all wickets where Markram scored 152 runs, De Villiers scored 69 runs and Bavuma remain not out with 95 runs so far. Unfortunately he could not touch the century. Later, Australia came to bat but only three players could score more than fifty runs and rest players failed completely. Khawaja scored 53 runs, skipper Paine scored 62 runs and Cummins scored 50 runs for the team. 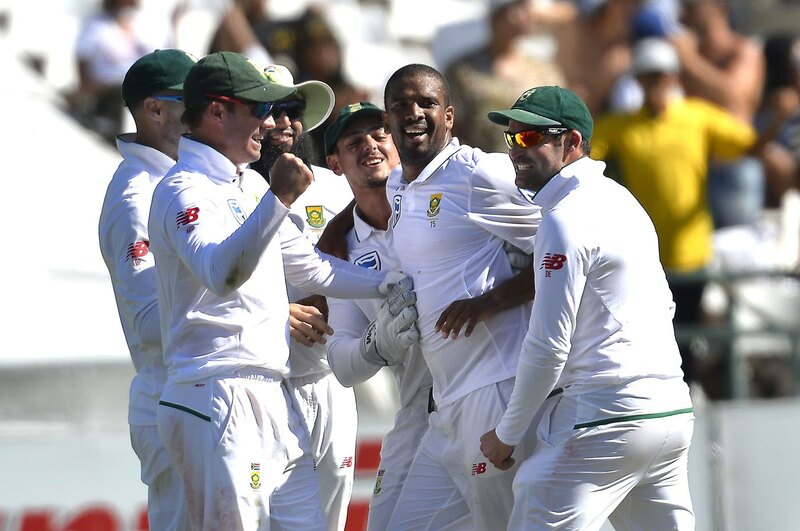 Three players of Proteas took three wickets each which were Philander, Rabada and Maharaj. Later, Proteas came to bat for the 2nd innings and losing six wickets they declared their innings. They scored 344 runs in the meantime where Elgar scored 81 runs and captain Plessis scored 120 runs so far. So, considering two innings Australia had to chase big score which seems almost impossible to chase. Though, they could draw the match but the door was also closed by the players. They could not stand in front of Proteas bowlers. By scoring 119 runs they lost all wickets. Burns scored 42 runs and Handscomb scored 24 runs so far.